MINNEAPOLIS, Minn. –– Viridian Weapon Technologies is exhibiting the FACT Duty™ Weapon-Mounted Camera (WMC™) at the Minnesota Chiefs of Police Association’s (MCPA) 2019 Executive Training Institute (ETI) and Law Enforcement Expo, held April 14-17 at the River’s Edge Convention Center in St. Cloud, Minn. The ETI expo allows members of local law enforcement agencies and elected leaders to gather and learn about trending practices and technologies available to law enforcement and emergency personnel. Those interested in learning more about the event can click here for additional information. Viridian is exhibiting in Booth #441 and has several popular technologies and products on display, including the FACT DutyWeapon-Mounted Camera. 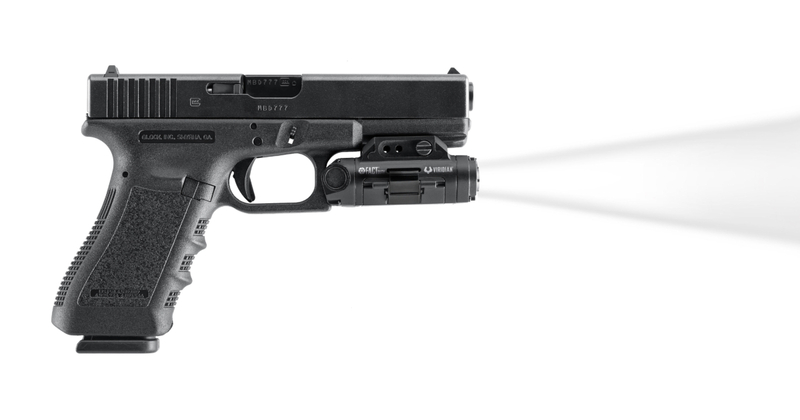 This unique Weapon-Mounted Camera provides an unobstructed view of critical use-of-force events from the end of the firearm, addressing limitations officers can face with body cameras. The highly advanced FACT Duty WMC employs a 1080p full-HD digital camera with a microphone and 500 lumen tactical light. Viridian’s proprietary INSTANT-ON® technology automatically activates the camera and microphone whenever the officer draws the firearm from its holster. Not only does this eliminate risk of failure to manually turn on the camera during a critical event, but it also keeps the officer from fumbling with cumbersome equipment. Body and dash cameras were not designed to capture officer-involved shootings. However, Viridian WMCs were designed specifically for this purpose. At this year’s ETI Expo, Viridian booth visitors who enroll in the no-cost Law Enforcement Weapon-Mounted Camera Testing & Evaluation program will be eligible to receive a free Tactical Backpack while supplies last. This show special is an exclusive token of appreciation for qualified T&E sign-ups during the ETI expo only. More information on FACT Duty WMCs can be found online. Headquartered in Minneapolis, Minnesota, Viridian Weapon Technologies is devoted to applying cutting-edge technology to design compact, powerful self-defense products for the civilian, military and law enforcement markets. Viridian is the leader in weapon-mounted technology and responsible for a number of firearm innovations including green and red laser sights, LED weapon-mounted illuminators and several shooting accessories including the TacLoc® Holsters. Viridian products are designed and built in the USA. More information is available atViridianWeaponTech.com.